We found Simon to be an exceptional Agent. He was incredibly responsive and easy to communicate with. Simon has a wealth of experience and knowledge that he brings to the relationship when buying or selling a home. He has a keen ability to offer advise but at the same time allowing you to make the final decision. I would highly recommend Simon to anyone looking at buying or selling a home. I would certainly use his services again. Simon is an outstanding realtor and I recommend doing business with him anyday! He is the kind person you want in your corner when it comes to negotiating a good price and looking after your best interests. 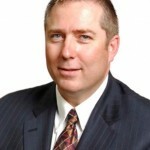 Simon Hunt brings integrity, class, and integrity to the real estate industry. We could not have been happier to work with him - and plan to only work with him in the future. He is a person of great character, a fantastic communicator, is very knowledgable, and guided us every step of the way. I have regularly referred Simon to friends and family - and will continue to do so. Simon and his team did an amazing job, helping us to find our new house. They are fast and very efficient with the research about the property, history, how many owners, condo situation. They managed all the process of buying giving us confidence that everythingi is done properly. We really feel safe knowing that they have everithing covered. Thanks again to Simon and all the team. Simon is an outstanding relator. Every time I have used him (this is the fourth time) he has exceeded my expectations in every area. When I list with Simon I am armed with so much information that understanding the value of my home is easy. I am supported by his team and a vast network of professionals in whatever area I need to get my home on the market. Not only is he professional but he gets to know his clients and genuinely cares about them on a personal level. If you are buying or selling in Calgary, this is the person you want in your corner.